Happy Tuesday guys! It is time to share the first post about our trip to Florida with you guys! I already shared some pictures on Sunday, and I also gave you a brief overview of what we’ve been doing here so far, but no I will get more into details. And I want to start with our visit to Wynwood, the art district of Miami. 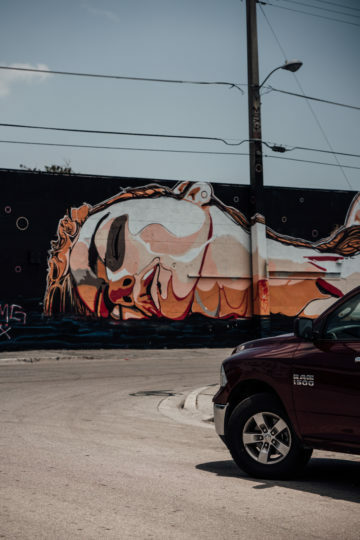 Wynwood is one of the places I’ve always wanted to see, and it is one of the reasons why I wanted to come back to Miami at least once after our visit in 2013. 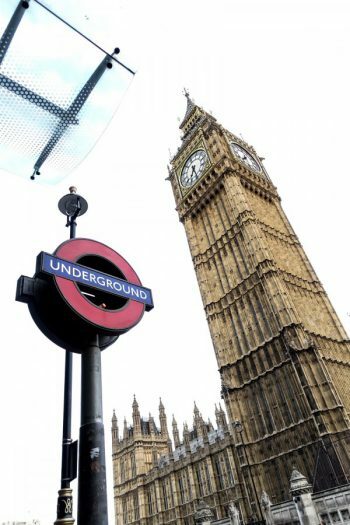 Back then it wasn’t well-known, I didn’t know it, and I can’t remember, that I heard or saw anything about it. I think the first time I heard about it was about two years ago, in 2016. Since then I’ve seen more and more pictures all over Instagram. 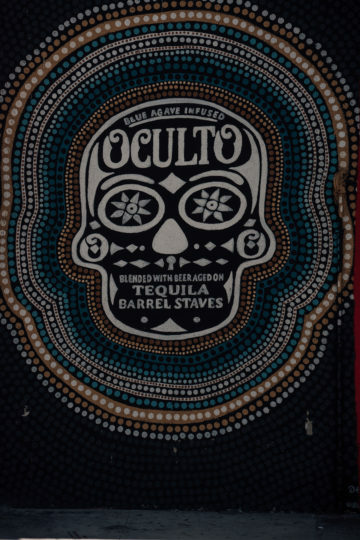 Usually, this makes me NOT want to see a place. But in this case, I was very curious. Of course, I was worried, that I would be very disappointed. But at this point, I can tell you, that I wasn’t disappointed at all. My expectations actually got exceeded. 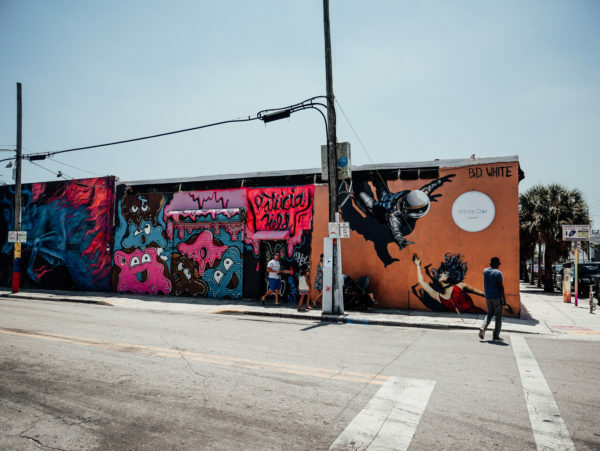 For those who have never heard about Wynwood: it is Miami’s art district north of Downtown. It used to be an industrial district, but now it is a place filled with galleries, shops, cafés, restaurants and graffiti walls. 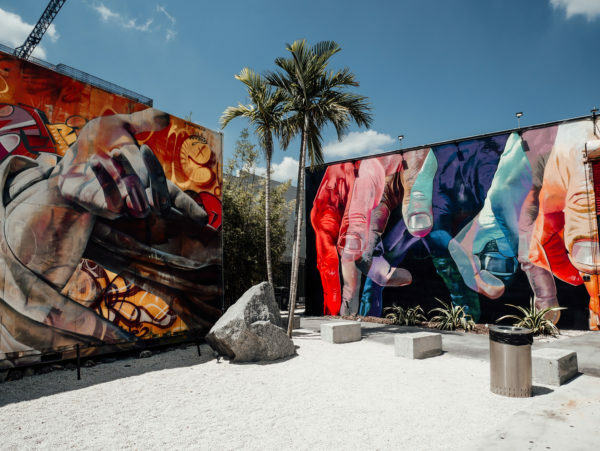 The best-known graffiti walls are so once you can see at Wynwood walls, but they actually can be found all over Wynwood. 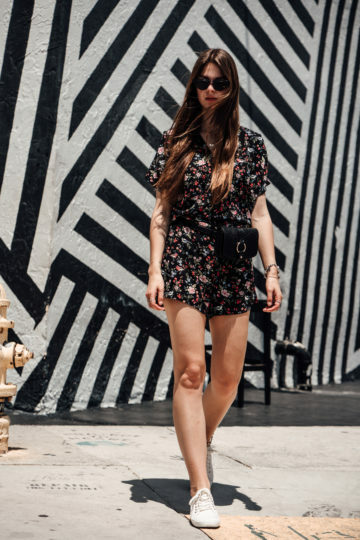 JUST WALK THROUGH THE STREETS OF WYNWOOD WITH YOUR EYES WIDE OPEN. 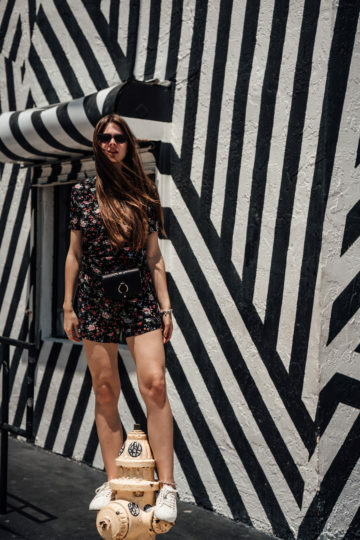 That’s the best and only way to see all the colourful walls, the art people from all over the world are sharing in Wynwood. 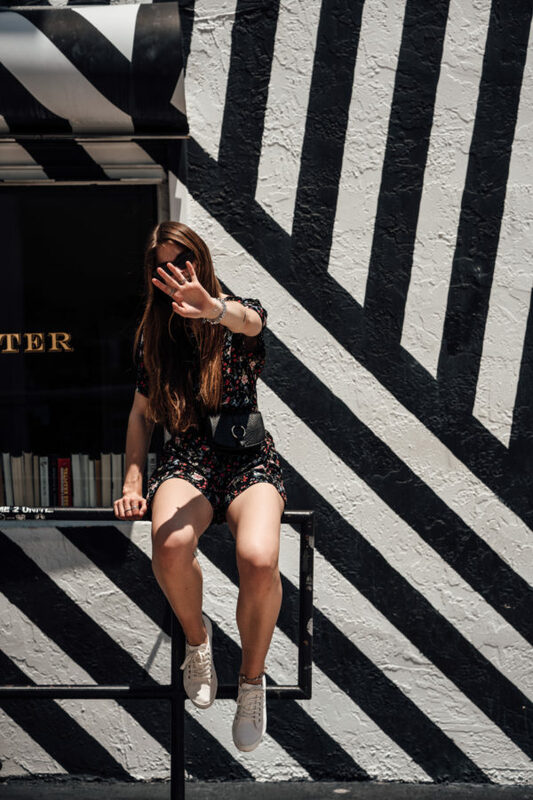 Go to the Wynwood walls and make sure to go inside some of the galleries and museums – you will find them anywhere in Wynwood. 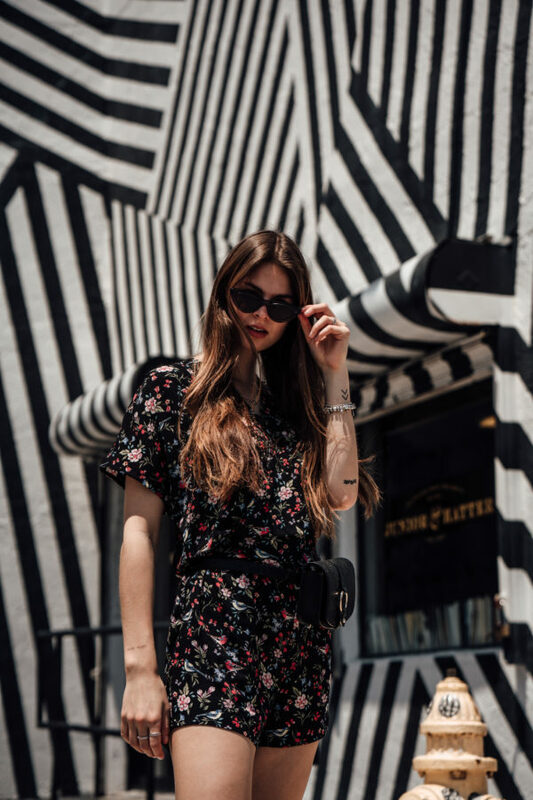 And even when you want to go shopping, you will find something in Wynwood. 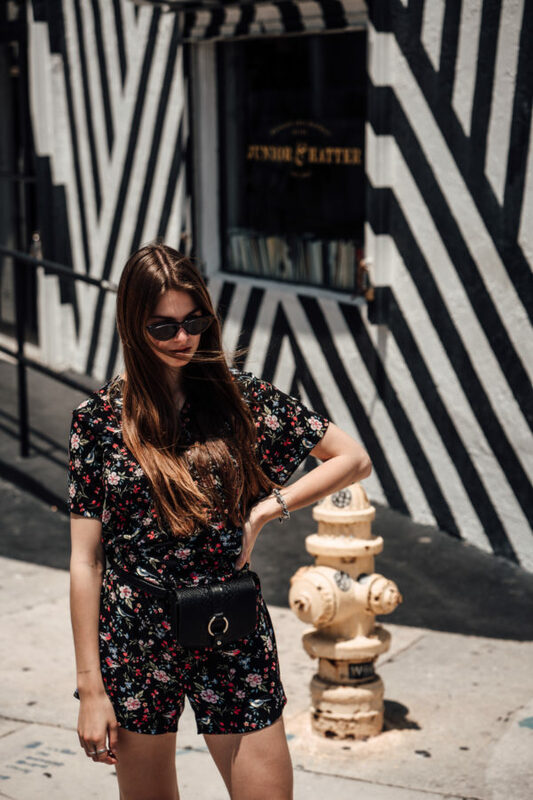 Small boutiques, bigger brands and cute shops can be found everywhere. 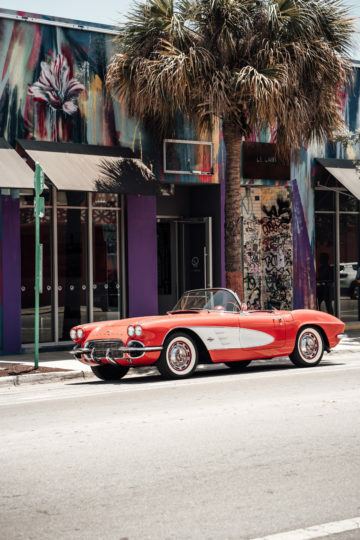 And last but not least, you will find a lot of good restaurants and cafés in Wynwood. We had lunch at Coyo Taco, and I truly can recommend it. They have tacos, burritos, salad bowls and some more Mexican dishes. We tried a burrito and had tacos, and everything tasted very good. I would definitely eat there again. Another place we went to is Zak the Baker. It is a bakery in Wynwood and guys; they have the best pastries! And the coffee isn’t bad either. 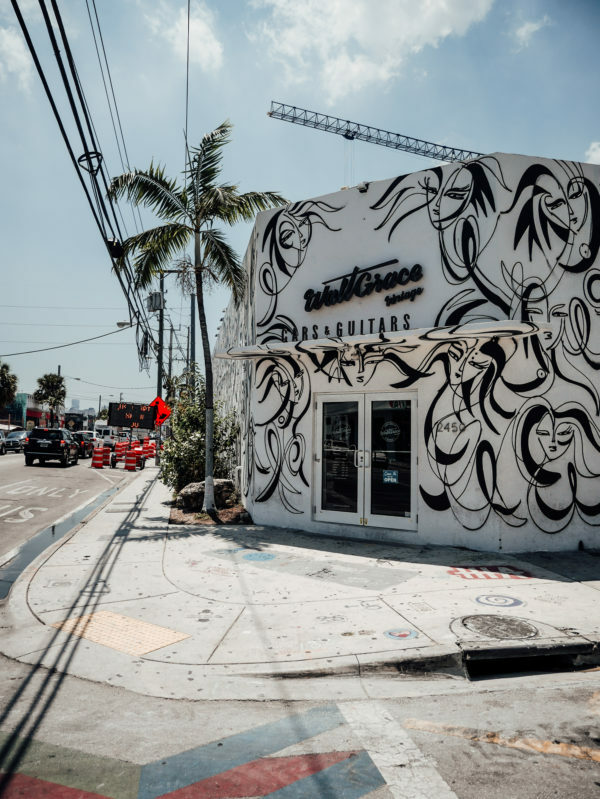 We wanted to go there again last Saturday when we were in Wynwood for the Wynwood Street Festival, but they are closed Saturdays.